I am very interested in the idea of crowdfunding. Crowdfunding is the practice of funding a project by raising many small amounts of money from a large number of people, typically via the Internet. 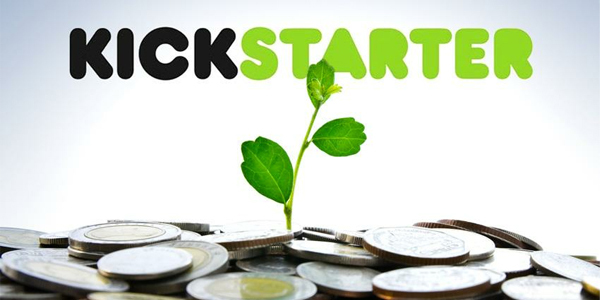 One of the most popular sites that facilitates crowdfunding is Kickstarter. 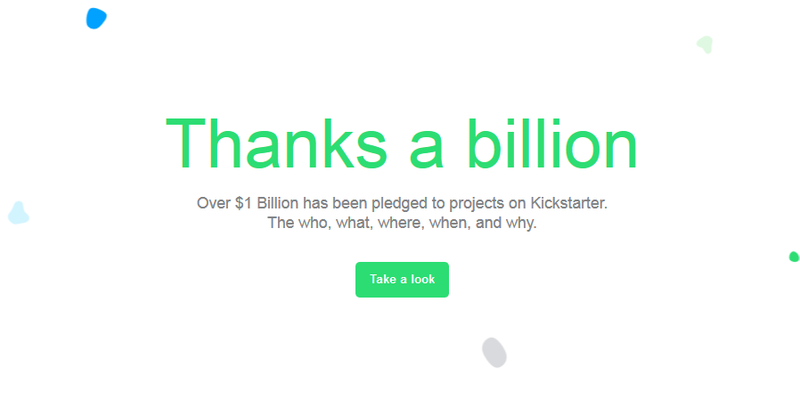 I’ve had experience using GoFundMe, but never Kickstarter, so I was looking forward to finding out more about it. Immediately, when you visit their page, you see their banner thanking those who have chosen to fund projects. 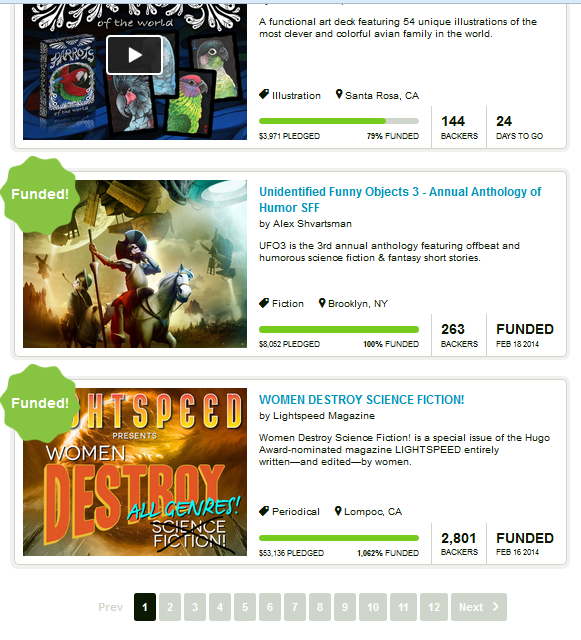 This is a great reminder of the power and reach of crowdfunding. 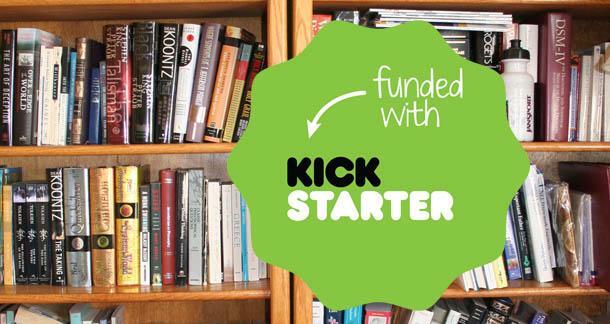 I really like Kickstarter and the way it’s organized. I like the opportunity to browse — even by location — for projects that may interest me. I was browsing through the projects on Kickstarter to see the kinds of projects people were looking to get funded. There were lots of different and interesting things. There were theatre projects, art projects, STEM projects. There were things for kids, staff picks, and more. 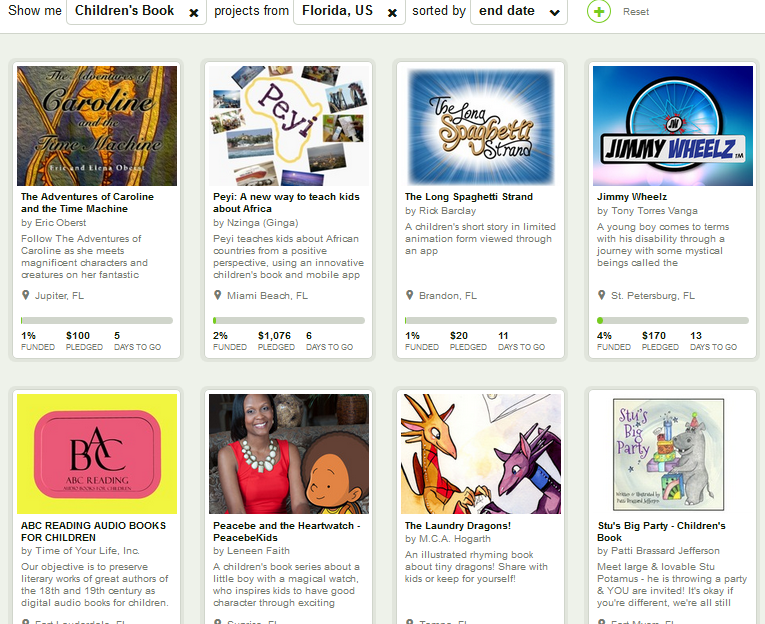 I decided to look for a children’s book to fund in Florida, since that’s where I live. There several projects to choose from, many of which had already been funded. Visually, I was drawn to The Laundry Dragon project in Tampa by M.C.A. Hogarth. There was a very eye-catching video on their page, and they are very close to reaching their funding. 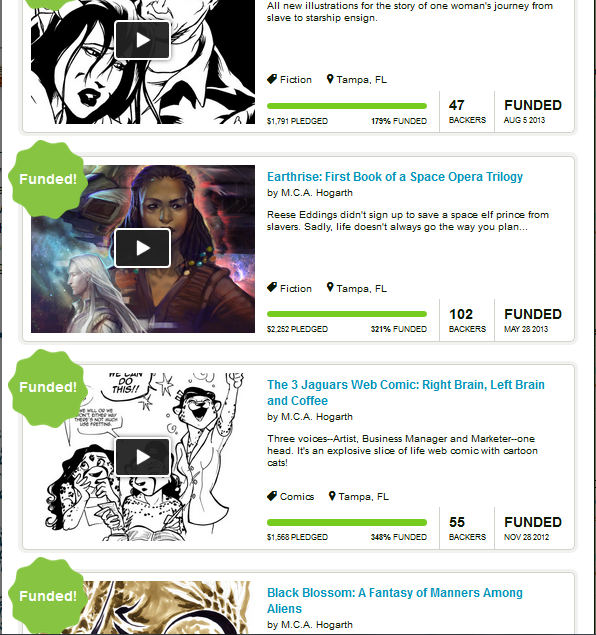 The author has already had eight previous projects created and funded, and has also helped fund forty seven projects. I really appreciated that she has helped other projects, and is not just there asking for funding. M.C.A. Hogarth offers several incentives for helping to fund her book. The most popular is for $20 she will give you a copy of the book in the summer, after it is printed. When I clicked through to help fund the book, I noticed that there is a warning that there are no guarantees, and Kickstarter does not investigate those who are asking for funding. I found this unsurprising, since there are so many projects looking to get funded. It did make me wonder how many projects reach their funding, but don’t make good on their promises. I’d think it would have to be a fairly low number. Otherwise, crowdfunding would quickly loose its appeal to those looking to fund projects that interest them. I found this whole process very interesting to research. I’ve written a series of children’s books, just for fun, but I’ve never really thought about getting them published. Crowdfunding seems like a viable option for doing it. It may not be easy to do with all the other responsibilities, but crowdfunding gives people the opportunity to live out a dream. I hope you get the chance to go for it. Thanks! I think I’m more interested in looking into crowdsourcing the illustrations first. Even though I wrote them for myself and my family, I had been hoping to work with an illustrator friend of mine who’s retired from Disney. However, crowdsourcing seems like it’d be a great option. What I noticed about this particular author is she’s clearly built up a following, since she’d already had the project almost completely funded, and there were still almost three full weeks left to go. It was definitely enlightening to research. I was a little taken aback when I saw that warning. I am looking at participating in the funding of a lazer tag venture, because I love lazer tag, but my husband did say, “What happens if they reach their funding but we never get a product?” I agree with you though, that if that was the case people would back out of funding quickly as it became a more prevalent situation. I also think that it is part of the reality, in pledging money and becoming a backer, there are no guarantees. I think it is really cool that you found an author who not only asks for her projects to be funded, but helps other peoples dreams come true. I think giving back is really important and I think it speaks of her character that she chooses to do so. I really think that you should get your stuff crowdfunded! That is awesome! I wish I had a talent like that! Very cool! Great post! Hi Amanda. I think it’s good that your funding only goes through if the person requesting it reaches their goal. Otherwise, you’d have all sorts of issues with people receiving varying amounts of funding that may or may not be a helpful level. Then the recipients would face an ethical dilemma of whether to return it, or not. It’s comforting to me to know that Kickstarter, and other crowdfunding sites like it, don’t actually deliver the funding unless the goal is reached. Backing a project certainly has its risks, but I think the feelings you get from supporting a project you believe in — whether it ‘s motivated by the incentive offered or not — are worth it. Who knows? You may be backing the next big thing! Thanks for commenting!